You don’t have to be Dr. Caligari to love calamari though it helps to have an appreciation for the strange and bizarre, and squids are both of those and more! These 8 amazing squids span the globe’s oceans while expanding the walls of any cabinet of curiosities. 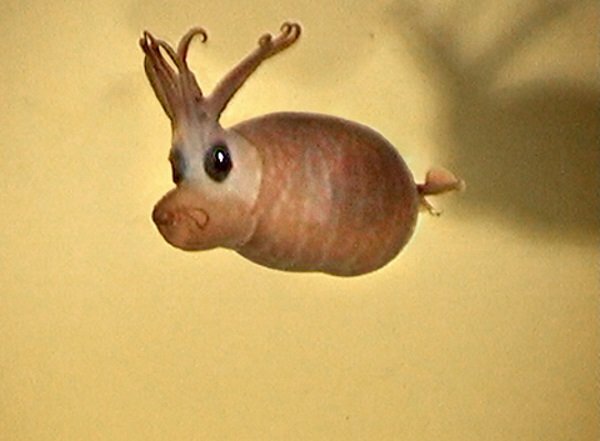 The Piglet Squid (Helicocranchia pfefferi) may look like a cartoon come to life but appearances can be deceptive. For one thing, this avocado-sized creature lives in the low-light zone 200 to 1000 meters (650 to 3300 feet) below sea level so it’s often spotted swimming upside down and thus looking up. Its tentacles therefore give it the look of a chubby piglet sporting a mop of unkempt hair. The Vampire Squid‘s Latin name, Vampyroteuthis infernalis, translates to “vampire squid from Hell”. Nice. 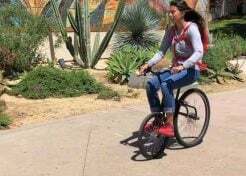 It was first described in 1903 by by German teuthologist (squid expert) Carl Chun who was obviously deeply impressed and/or disturbed by the creature’s large red eyes and the spooky black lining of its “cloak”. 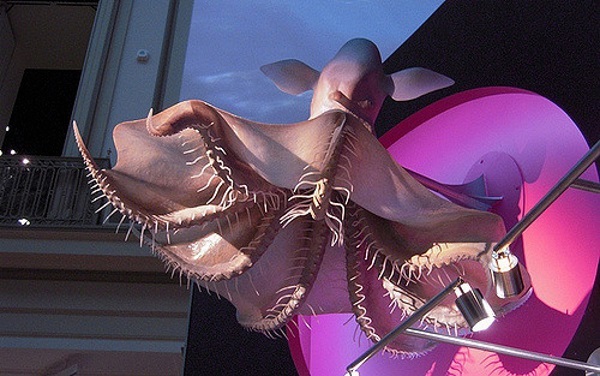 This curious creature lies taxonomically somewhere between squids and octopuses – the aforementioned “cloak” formed by webbing that connects its arms is unique among cephalopods. Vampire Squids also sport dozens of odd, fleshy spikes along their arms and are able to distract predators by expelling a cloud of mucus containing small bioluminescent orbs. We’re definitely going to need a bigger Kleenex. More recently, the perceived evil hideousness of the Vampire Squid was invoked by the Occupy movement as a way to describe investment banker Goldman Sachs, which is actually insulting… to the Vampire Squid. 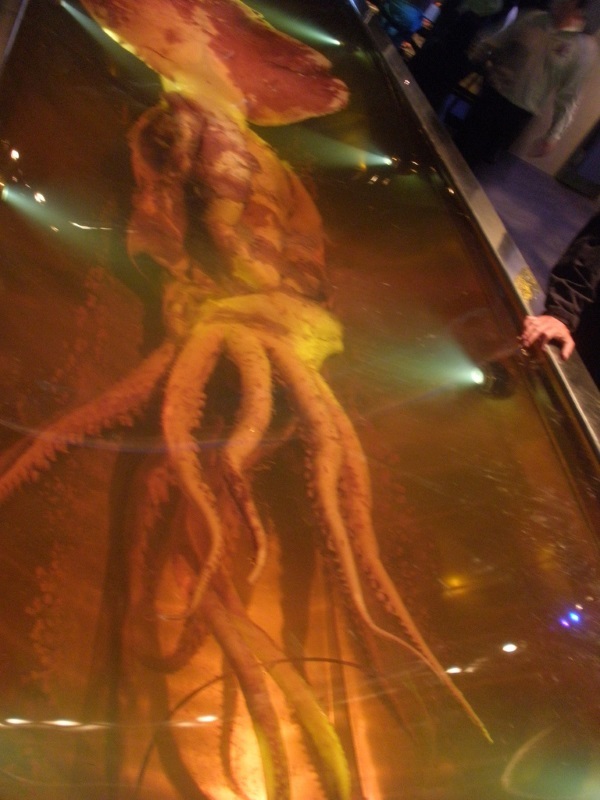 The Colossal Squid (Mesonychoteuthis hamiltoni) is well-named: at 12 to 14 meters (39 to 46 ft) in length and weighing in excess of 500 kg (1,100 lb), this real-life Kraken is about the only other sea creature able to give full-grown Sperm Whales a fight. The whales often win but pay the price of having their skin scored by the squid’s hundreds of hook-toothed suckers. 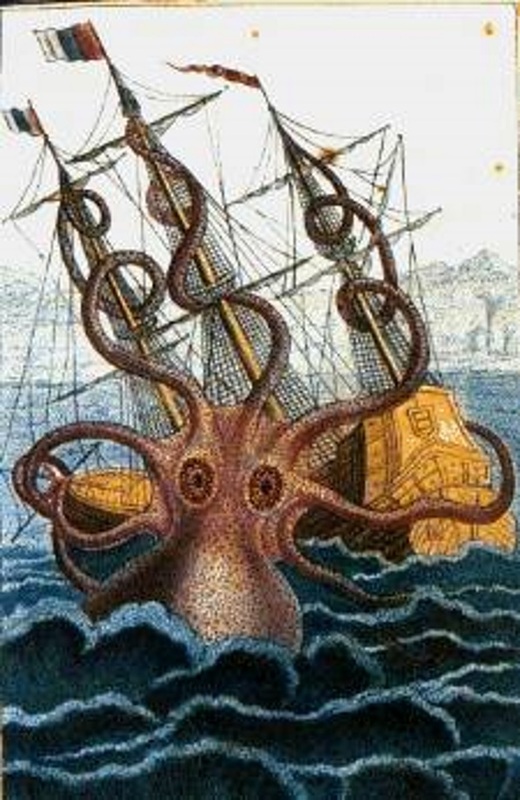 Native to deep, dark and frigid Antarctic waters, Colossal Squid are only rarely encountered though often wildly exaggerated reports of them are found in a wealth of ocean legends and old sailor’s lore: paint one green and you’ve got your very own pet Cthulhu… yes, R’lyeh. 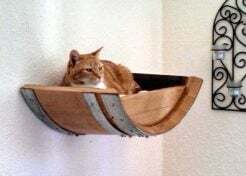 They may not be able to bring down a clipper ship but with eyes the size of dinner plates it’s a sure bet they could see one coming from afar. 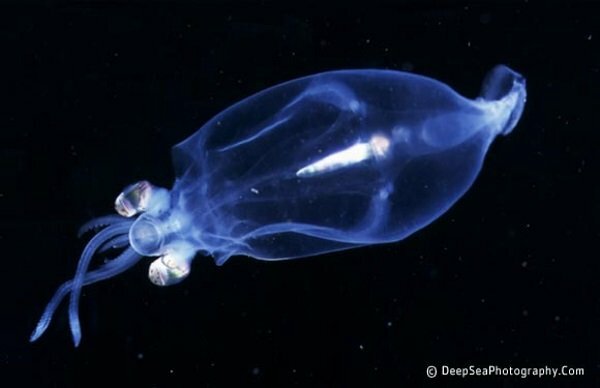 Glass squids are a family of squid species, the majority of which have mainly transparent bodies. One of the more unusual is Cranchia Scabra, a species that bolsters its semi-transparent strangeness by having a barrel-shaped body studded with dozens of small tubercles. When stressed or attacked by predators, 150mm (3 inch) long Cranchia Scabra pulls its head and tentacles into its studded mantle much like a tortoise retreating into its shell. Unlike the tortoise, Cranchia Scabra can inject ink into the mantle’s lining and near-instantly camouflage itself against dark backgrounds… sort of like a Teenage Mutant Ninja Squid. 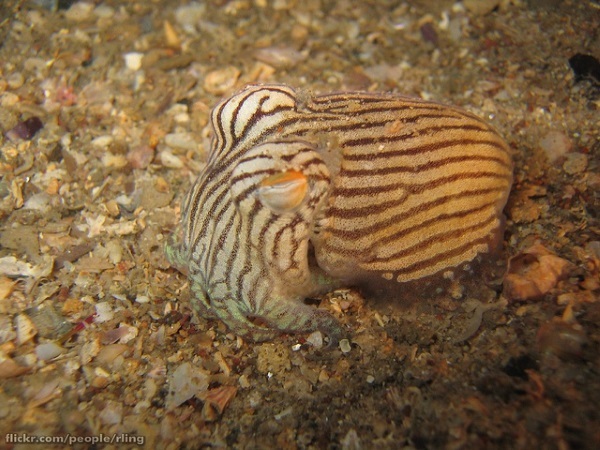 The Striped Pyjama Squid (Sepioloidea lineolata) is actually a Cuttlefish but hey, we’re inclusive and unbiased so come on in! Besides, with a name like “Striped Pyjama Squid” the fun knows no bounds. 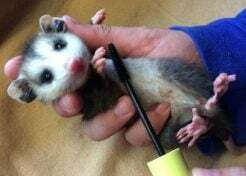 Don’t get too cute with a Sepioloidea lineolata, however. They may only be 50mm (2 inches) long but they’re one of the very few poisonous cephalopads. Native to the southern Indian and Pacific Oceans in waters around Australia, this snazzy sea-critter sports pinstripes bold enough to tempt Yankees GM Brian Cashman to whip out his checkbook. Its stylin’ skin isn’t even the squid’s most outstanding feature: that would be the pair of curious hand-like appendages extending upwards just aft of its eyes. A wave beneath the waves, as it were. 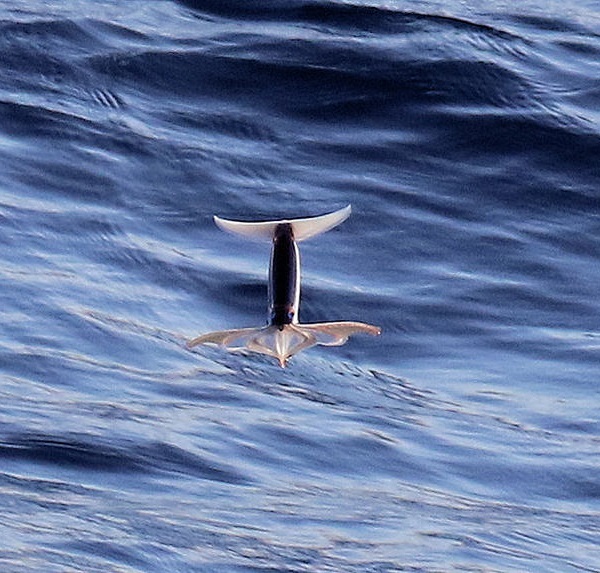 The Japanese Flying Squid (Todarodes pacificus) doesn’t take to the air often but when it does, it does so spectacularly. Witnesses have observed specimens of this species, singly and in groups, soaring for up to 50 meters (about 165 feet) over the waves in an effort to escape less versatile predators like whales. Japanese Flying Squid aren’t the only squid observed taking to the air like water-powered rockets but they’ve done it enough to have earned their colloquial name. There’s one drawback to being an airborne sea creature, though, and that’s extra exposure to birds such as albatrosses. Talk about being put between a rock and a hard place! Promachoteuthis Sulcus is so new and so rare – only one specimen has been caught and described – it doesn’t have a name besides its scientific one. Take a close look at its mugshot… we’re sure you can come up with some doozies after experiencing a few nightmares. Squids have tough, often razor-sharp beaks they use to chop & chew their food and being a squid, so does Promachoteuthis Sulcus. 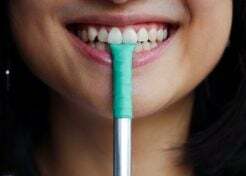 Those creepy teeth? As scary as they look, those choppers are actually lips with the beak lurking just behind. Feel better now? That’s OK, neither do we. Growing up to 1.75 m (5.7 ft) long and weighing up to 50 kg (100 lb), Jumbo Squid (Dosidicus gigas) are some of the largest squids commonly encountered by humans but beware: they’re not called “devils” for nothing. Jumbo Squid are intelligent and curious, which has lead to many reports of scuba divers having their facemasks, regulators, air hoses and more grabbed by these very much touchie-feelie sea creatures. You’ll find them along the Pacific Ocean coast of North and South America… or more likely, they’ll find you! 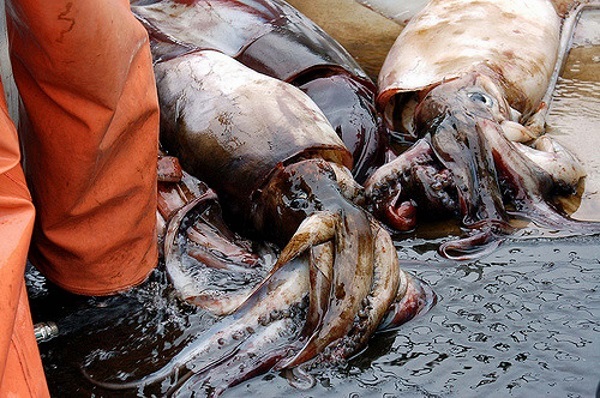 Also known as Humboldt Squid, Pota, or Diablo Rojo (“Red Devil” in Spanish), Jumbo Squid aren’t just armed, they’re armed to the teeth – in fact, their arms HAVE teeth! Wickedly hooked and dangerously curved, these pointed pincers are found within the squid’s suckers and add another dimension to their potent predatory prowess. 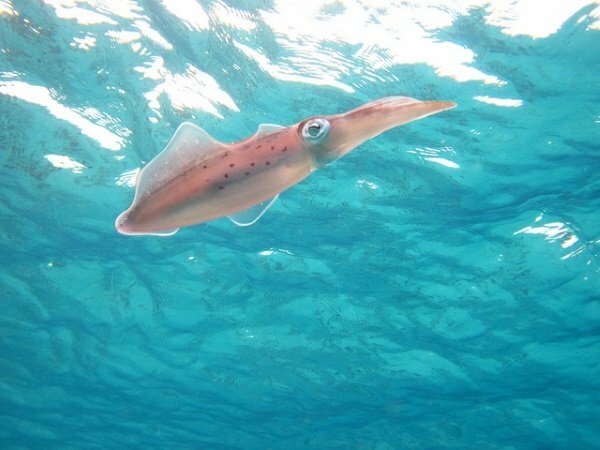 Squids have been around for hundreds of millions of years and their ancient ancestors added an abundance of color to Earth’s early seas. Flash forward to the present and we human latecomers are only beginning to unveil the mysteries of these amazing and indeed, legendary creatures. Any way you look at it, we can expect further “ink” on squids as time goes by! All images in this article have been graciously made available by the individually-attributed photographers under a Creative Commons international license.